Jacksonville secures home playoff match with Saturday night 2-0 victory. The Jacksonville Armada FC’s 2-0 shutout against Naples United FC clinched the No. 2 spot in the NPSL Sunshine Conference Playoffs Saturday night at Hodges Stadium. 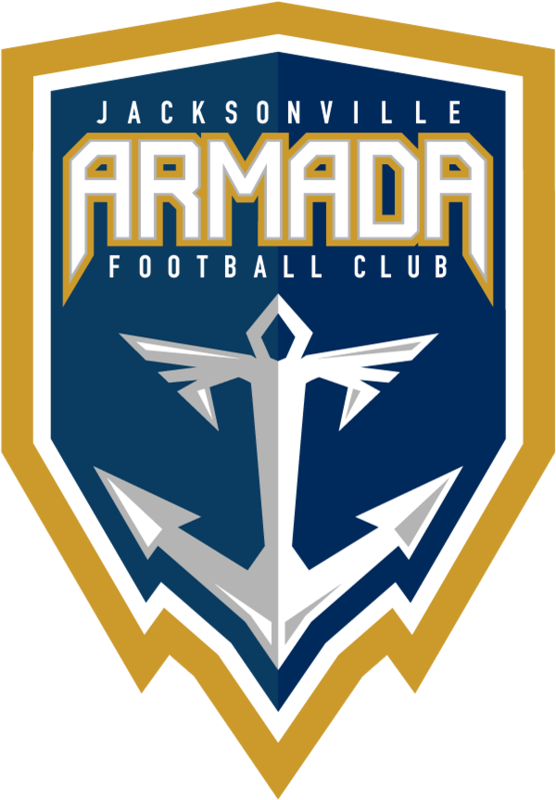 The Armada FC will now face Miami United FC on Wednesday at 7 p.m. at Hodges Stadium in the Conference Semifinals. The Armada FC had a chance to take the top spot, but Miami FC 2 secured it with a 5-0 win over Boca Raton Saturday night. Tickets are now on sale on JacksonvilleArmada.com for Wednesday’s Playoff Semifinal match at Hodges Stadium. Tickets start at $15 online. It looked as though the Armada FC would take the first lead of the match in the 26th minute when Gebhard was tackled in the box on breakaway. He was awarded a penalty kick and Kilduff stepped up to take it. Kilduff shot a low ball to the right of the keeper, but Naples’ Blanco guessed the right way to make the save. Naples kept the momentum and countered the Armada FC’s attacks with one of its own. Forward Erick Bonilla used a couple of nice moves in the 27th minute to break past Jacksonville’s back line and took a powerful shot at Brian Holt. Holt was squared up with Bonilla the entire time, and deflected to shot to Jérôme who cleared the ball out of the box. Jacksonville broke the scoring drought and took a 1-0 lead in extra time of the first half. Jèrôme took a free kick from about 25 yard out and buried it in the goal. Blanco got as good of a jump on it as he could have, but there was no chance of stopping the missile from Jérôme. It was his first goal since 2016 for the Armada FC. The Armada FC left the field for halftime with a 1-0 lead. Things starting getting physical for the two teams in second half, as two yellow cards were handed out in the first 16 minutes. The Armada FC’s Kilduff almost doubled Jacksonville’s lead in the 65th minute off a free kick from Conor Doyle. Doyle sent a low screamer into the box to Kilduff who cut in front of the net and got a foot on it, but Naples’ Blanco secured the shot. The Armada FC struck again in the 73rd minute to make the score 2-0. Doyle put a high corner kick into the box and onto the head of Shane McInerney. McInerney tapped the ball to Alhassane Keita on his right, and he tucked a shot just inside of the goal post for Jacksonville’s second and final goal of the night. Jacksonville is now done with the regular season and will compete in the playoffs for the first time in the club’s four-year history. The Armada FC will host Miami United FC Wednesday at Hodges Stadium in the NPSL Sunshine Conference Semifinals. The winner of Wednesday’s game will face No. 1 seed Miami FC 2 for the Conference Final on Saturday. More information about the NPSL playoffs can be found on NPSL.com.